Around 400 classic cars and collectable vehicles will be on display at Breamore House near Fordingbridge on Sunday 12th August as the Hampshire Classic Motor Show celebrates its seventh year. 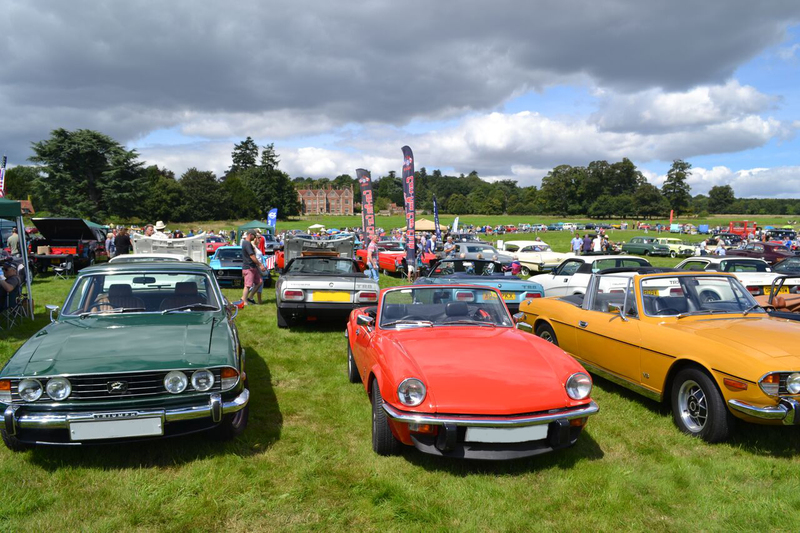 The one-day motoring extravaganza and family fun day is a great way to enjoy the beautiful setting of Breamore House surrounded by hundreds of classic cars. Other highlights of the popular fun day, organised by Gemini Events and sponsored by ClassicLine Insurance, include a show arena hosting stunning parades, static displays, car clubs, a concours competition and an awards ceremony. Other vehicles on display include saloons, sports, American, commercial, military and classic motorcycles, plus a selection of trade and craft stalls. There’s also plenty to keep children occupied with free face painting, a free colouring competition to win ‘Bruno Bear’, and free goody bags for all the children who bring their favourite Teddy to the show. Musical entertainment is courtesy of The Candy Girls, who will be performing classics from the 1940s, 50s and 60s as well as chart hits given a retro makeover. For more information, including ticket prices for Hampshire Classic Motor Show, visit the Gemini Events website.